The Ecological Crisis and Artistic Language: A Local Look (from the Catalan High Pyrenees) at a Global Problem is the result of the Incubator for reflection and debate held in Farrera as part of the European programme Frontiers in Retreat, in which the Art and Nature Centre took part, together with other artistic production centres from seven European countries. 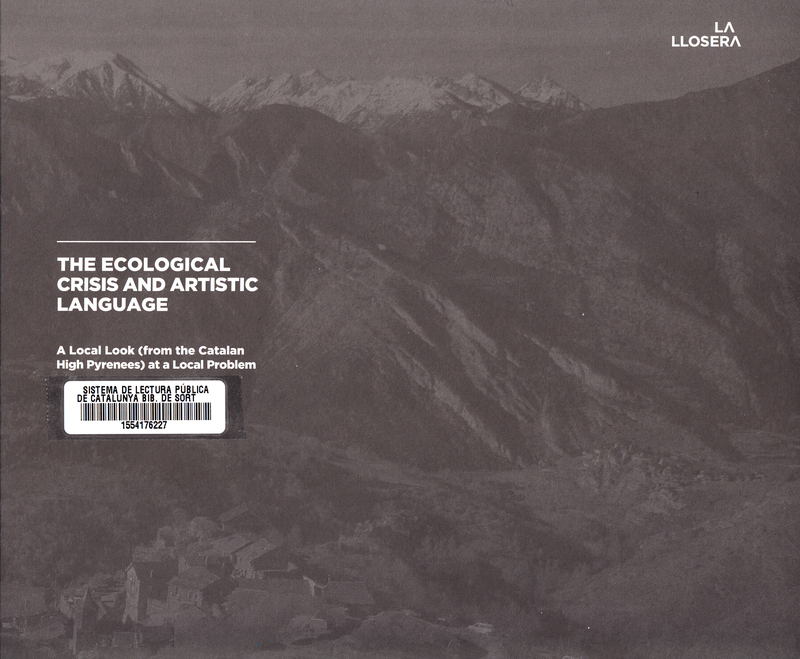 The fourth volume in the La Llosera collection brings together a number of voices discussing the ecological crisis from different standpoints: economic and social sustainability, different world views, recent changes in the high mountain landscapes and management of its commons, and the artistic language used when speaking of nature and ecology in modern and recent times. All the texts are presented with graphic images, fruit of the most recent Incubator session for shared creation of synthesis. They also offer key concepts, robust ideas showing the contradiction of today’s prevailing western civilisation, and visual proposal for changes in individual attitudes and the collective paradigm, which are now more necessary than ever.